The PADI / SDI Deep Diver Course gives you a great overview about the Changes from 18m to 40m. You will see and feel the difference. Different kinds of aquatic life and Color changes. A greater Gas consumption higher Nitrogen levels. Deep Diving is not for everyone but the once who enjoy the depth will get a different point of few. Is it necessary to dive that deep? The PADI / SDI Deep Diver Course gives you a great overview about the Changes from 18m to 40m. You will see and feel the difference. Different kinds of aquatic life and Color changes. A greater Gas consumption higher Nitrogen levels. Deep Diving is not for everyone but the once who enjoy the depth will get a different point of few. Is it necessary to dive that deep? NO its not but its always good if you know how to do it correctly and what you have to look for. Makes it sense to dive just into the Blue because its deep? No it doesn’t 😉 can it be fun? yes, of cause. One Day you have seen Fish and Corals. 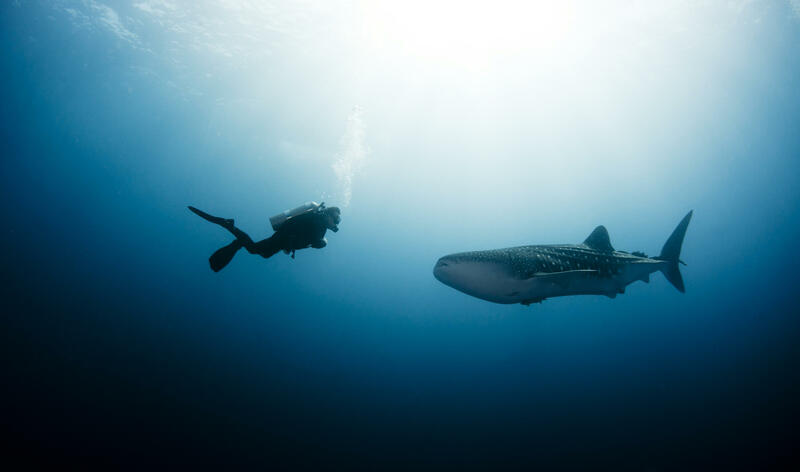 If Diving getting boring at small reefs its time to change your activities to make it more interesting again. As a Deep Diver you have more options. Are interested in Wrecks? The most real Wrecks are in deeper waters. When Certified, you are allowed to dive to 40 m of depth. All of our Specialities get Tough from experienced TDI Instructors which means you will become the best possible Training and not only standard by Agencys.